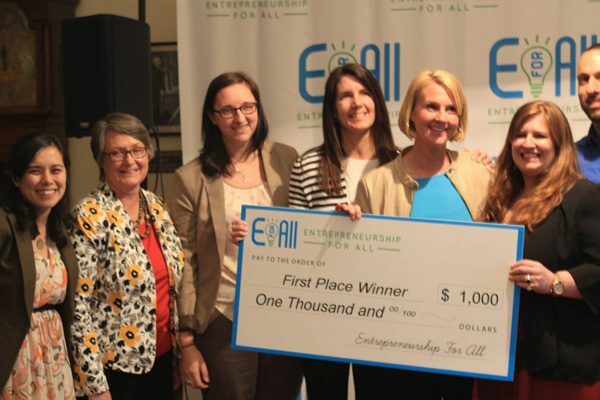 WellStrong was awarded Fan Favorite and First Place, amounting to $1,500, at the EforAll South Coast Pitch Contest held April 8th at the First Unitarian Church in New Bedford. The Pitch Contest focused on businesses and nonprofits committed to social impact. Eight finalists were given the opportunity to give a two and-a-half minute pitch. Pitches were scored based on the clarity of the idea and the presentation of the entrepreneur. What was the opportunity that led to the idea? How will it be sustainable as a business or non-profit? How will the prize money be used?